Hornady has grown from a simple two-man operation to become a world leader in the ammunition industry. Since the company’s founding in 1949, Hornady focuses on innovation, quality, and performance. Tactical teams, snipers, and law enforcement officers around the world choose Hornady for its flawless performance. 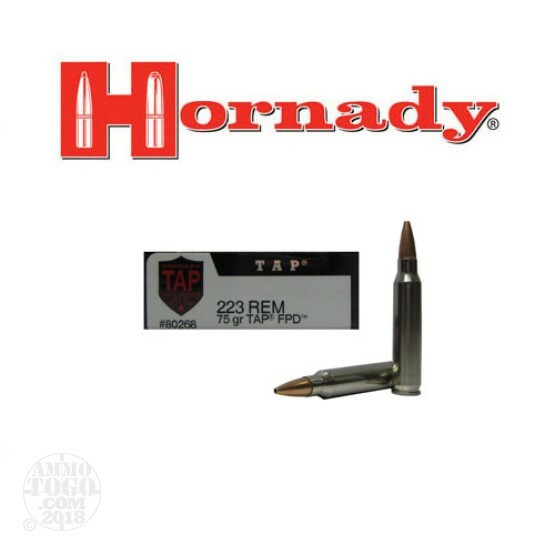 Hornady’s new family of TAP For Personal Defense (TAP FPD) ammunition is superior tactical ammunition designed specifically for civilian personal protection. 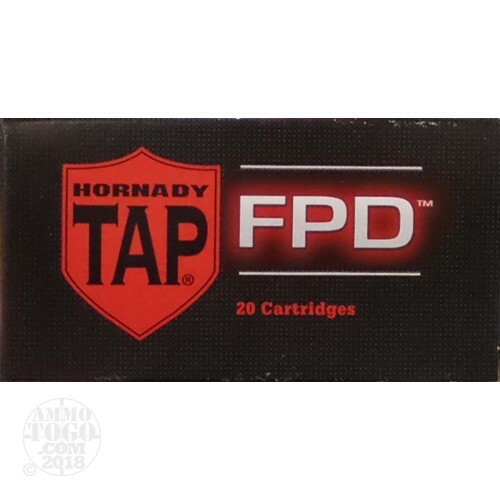 This package contains 20 rounds of Hornady TAP FPD .223 ammunition. 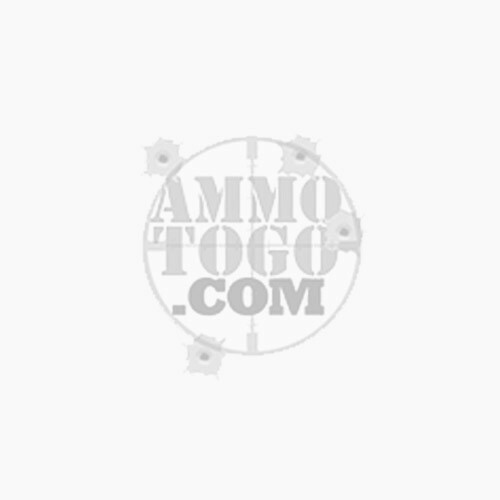 Each round is loaded with a 75 grain hollow point TAP FPD projectile featuring a soft polymer tip. This unique design delivers rapid expansion and massive fragmentation to create a dramatic wound cavity for dynamic threat-stopping power. This new production ammunition is non-corrosive, boxer primed, and features temperature-stable flash-retardant powders to minimize muzzle flash and protect the shooter’s night vision. Loaded in bright nickel-plated brass casings, these cartridges are easily visible even in low light situations. Each round produces a consistent muzzle velocity of 2790 feet per second and a muzzle energy of 1296 foot pounds.